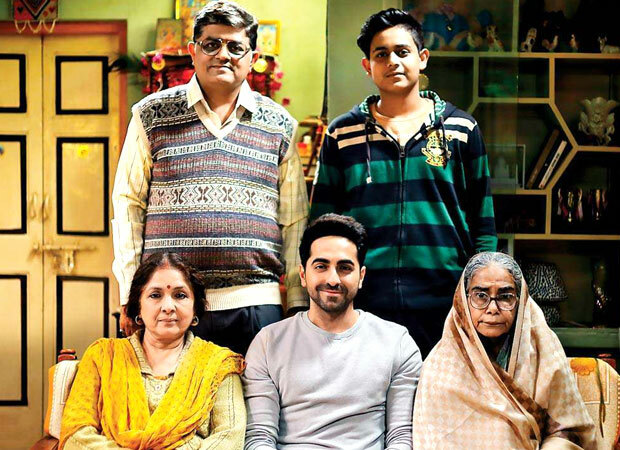 The Ayushmann Khurrana, Neena Gupta, Sanya Malhotra starrer Badhaai Ho seem to have won hearts with its quirky take on late pregnancy. But the film has run into trouble and that post two weeks after its release. It seems that the Delhi Government has raised an objection to smoking scenes in the film and the makers have reportedly been directed to do away with it. Recent reports have it that the Delhi Government has issued a notice against Badhaai Ho makers, asking them to remove the smoking scenes as they believe that they have indulged in promoting the tobacco-based products. Additional Directorate of Public Health and State Tobacco Control officer S.K. Arora has reaffirmed about sending the notice adding that they found many scenes of smoking in the film and tobacco brand promotion too was shown in it. According to him, the scenes used in Badhaai Ho were a violation of Section 5 of the Cigarettes and Other Tobacco Products Act wherein it has been specifically mentioned that no person shall take part in any advertisement which directly or indirectly suggests or promotes the use or consumption of cigarettes or any other tobacco products. He maintained that the legal notice is based on scenes like showcasing a tobacco shop and surrogate advertisement of tobacco brand products repeatedly. He has clearly demanded the removal of these scenes in the statement given in these reports. In these reports, Arora has further accused Bollywood of using too many smoking scenes. Citing the example of Akshay Kumar, who champions varied social causes, but was seen smoking in films like Gold, the Tobacco Control officer expressed his disappointment over scripts which uses smoking as a part of it and have asked makers to change the same for the interest of the public. The makers of Badhaai Ho are yet to respond to these allegations.